About bloody time. But deservingly, it was for yet another masterpiece from a true master. Should have won so many times before, but yes, well deserved. Congratulations Roger! Yes ! one of the weirdest things he has never won before.. not so long ago he was 2 of the 4 nominees and still didnt win !! but the nominations are more of show of his standing as voted by peers .. rather than academy members just looking for pretty pictures.. I think he has deserved an Oscar before, but if I were an Academy member, I wouldn't have voted for most of the things that won this year. 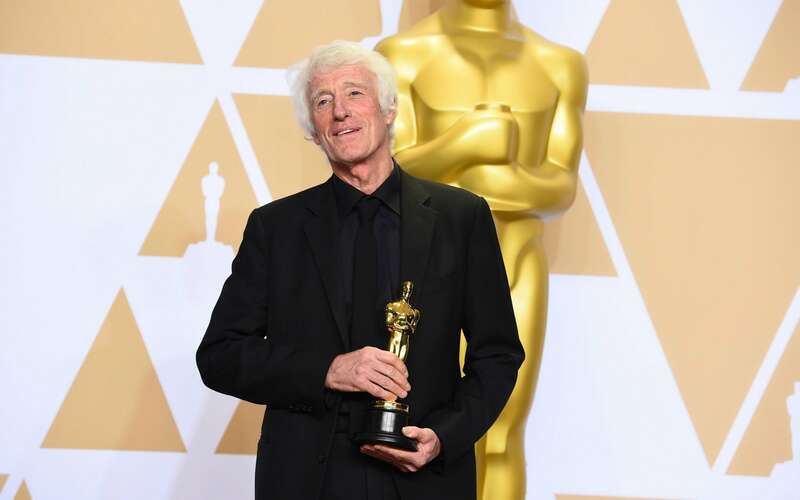 Maybe.. but it was patiently absurd Roger Deakins hadn't won an Oscar in 13? or so nominations.. even when he had shot 2 of the 4 films nominated.. it just had to happen this year .. Yes, it's clearly a lifetime achievement award in all but name, and fair play on that basis, but I'm not sure that Blade Runner was the piece of genius that people are describing it as. Honestly, some of the opening scenes looked amazingly - and this is a terrible, terrible insult - Doctor Who, as if they'd been shot in a quarry in Wales which we're pretending is the planet Zzyzzyzyzyx III. I couldn't agree more. Over all there seems to be a bit of a bell curve in play at the academy this year. I enjoyed Shape of Water, but Oscar worthy?? In my opinion Three Billboards was the most deserved of the nominees. Get Out should have had a lot more accolades, although I am glad it got Best Original Screenplay. Oscars have always been weird .. Redford gets one for the first film he directs.. and Kubrick ,Welles,Fellini, Altman etc never did ..
All I can say is, I thoroughly disagree. I think Deakins is clearly still at the top of his game, and Bladerunner is hardly some token effort gifted as a kind of pseudo-lifetime achievement award. With Lausten's spectacular use of colour in Shape of Water, and the visceral impact of Van Hoytema's camera on Dunkirk, it was hardly a weak year in the cinematography category. Nobody has been more deserving of an Oscar except maybe Ennio Morricone! Roger should have won at least 2-3 times earlier. Congrats to him! I saw a breakdown of all the movies he's lost to over the years and every one of them was deserving of their Oscar, it's just bad luck. It's just a perpetual near miss until this year. I'm very glad he won, I can't wait to see how his work continues to push the envelope. Hate to nitpick... but I noticed that more and more people are just posting questions to the General Discussion category -- this post should have been under the Cinematographers subforum.